Tasty Food is not a restaurant name you'd think of for pizza but, apparently that's what they are famous for. The All Dressed pizza is decent, but nothing that would really set it apart from pizza anywhere else. 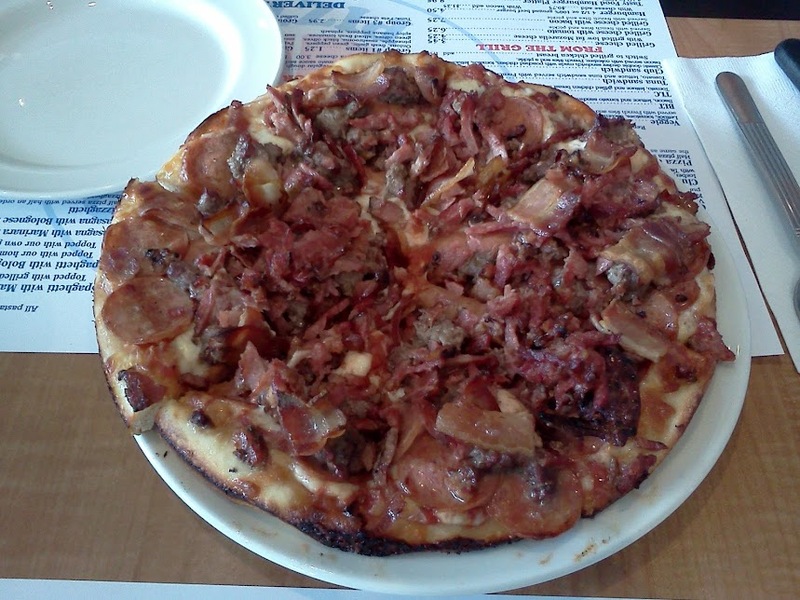 The Meat Lovers pizza (half meat, half pizza dough) is pretty good though. I think it's covered with bacon, ground beef, and some other different meats. It's tasty alright, however it's definitely not for those counting calories or watching their salt intake. Meat Lovers pizza on Decarie Blvd.